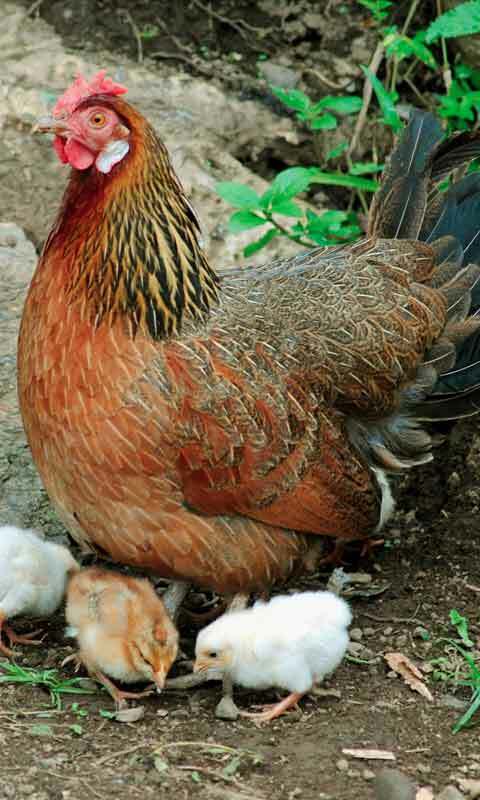 Chickens are funny animals; the sounds they make can be even more interesting. Download Chicken Sounds app and enjoy playing these sounds on your phone any time you need a good laugh. 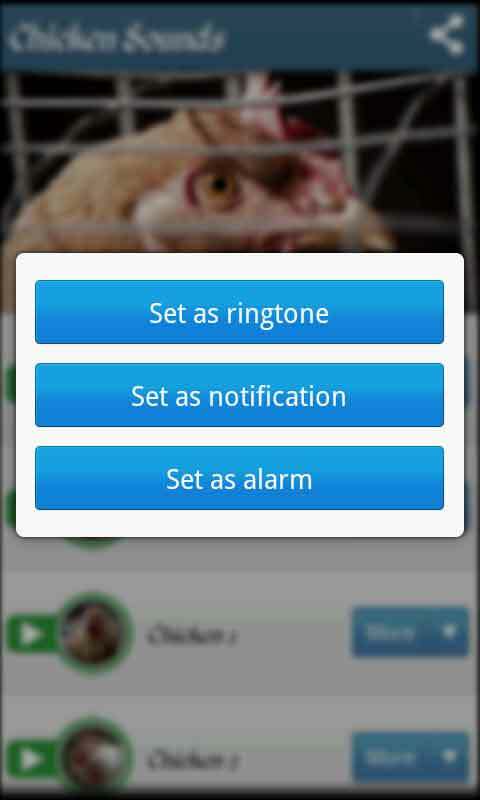 You can also set some of the chicken sounds as a ring tone and put a smile on your face every time somebody is calling you. You can also have a good start of your day every time you wake up with the rooster crowing sound. 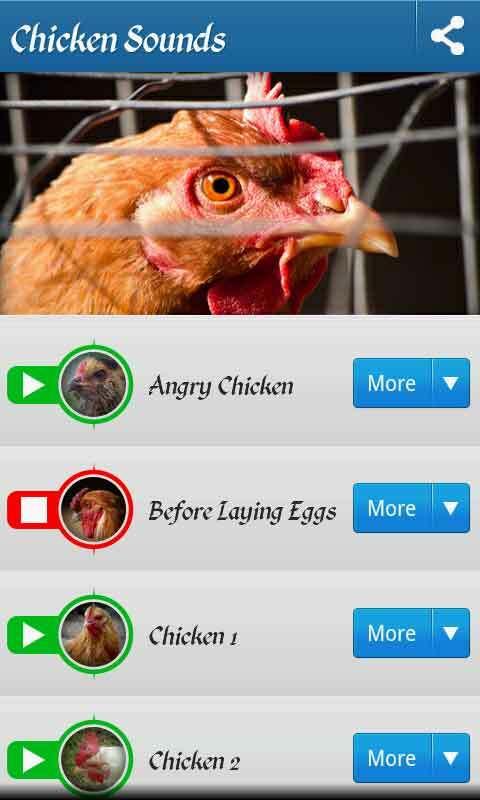 Features: - listen to the tones - set as a ring tone - set as a notification/sms tone - set as alarm tone (please note that setting alarm sound will not affect existing alarms but only new ones you create) Find the funniest chicken sound using our Chicken sounds app that is full of Angry Chicken sounds, sounds of a hen before Laying Eggs, Chicken cluck, Chicken Coop, hen cackling Chicken Barn, Clucking Sound 1-4, Clucky Chicken, Rooster Crowing 1-3 etc. Enjoy the funniest “Chicken sounds” app!